Why did we deliver this training? As a new logistics operation the HR Manager and Senior Management Team decided that from the beginning they wanted to fully train all their people managers to a high and consistent standard, so they could be productive in their role and fully equipped to manage people and get results. The HR Manager, Lesley Elliot, had worked with Jewel Training before in her previous company – Homebase – and so asked Jewel to create a Bespoke Management Development Programme for Bleckmann. How did we meet the customer’s needs? 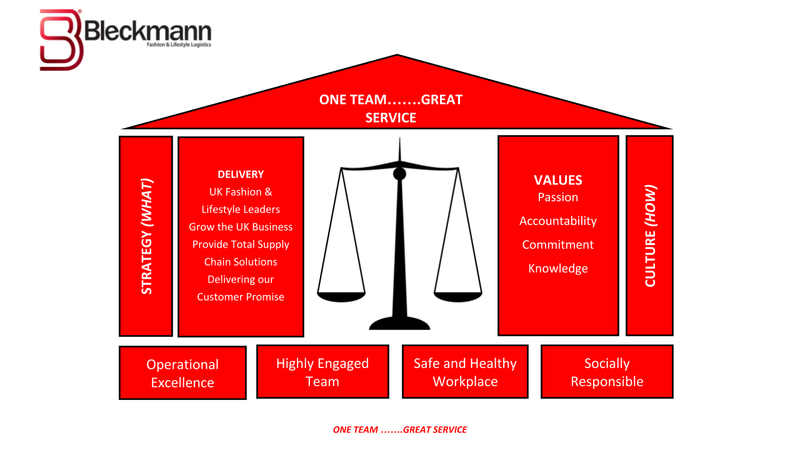 As this was a new operation the first step was to develop the Bleckmann Values and Behaviours which all managers and team leaders would believe in and follow. This was achieved through getting everyone together in the first workshop. We then developed a programme to run over nine months addressing the fundamental skills that every manager needed to have. 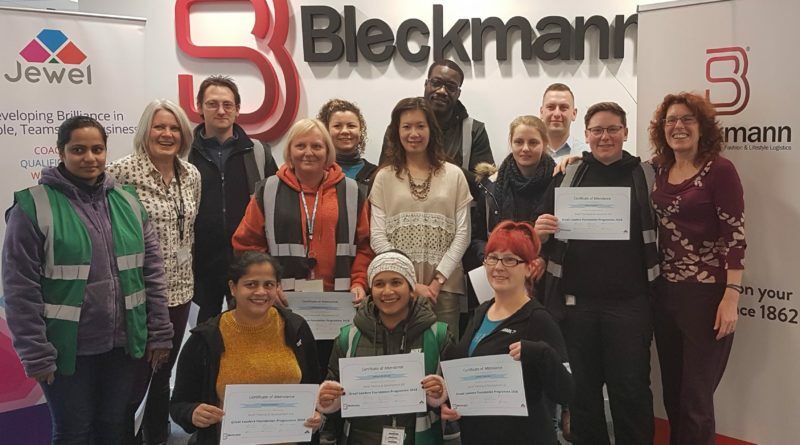 This programme included skills to build effective relationships, which was critical to provide excellent customer service for Bleckmann’s clients – all successful growing businesses in the UK – whose workloads were projected to increase. The Values and Behaviours were further developed with this great visual representation. This allowed all employees to see clearly where the business priorities were, and thus embed further the high and consistent standards. To ensure the skills learned were being practiced and realised by the managers, a feedback loop was implemented whereby the manager was required to get feedback on how their staff perceive their management and leadership ability. They each created a personal development plan at the very beginning and this was used to evaluate the success of the programme when we reviewed them at the end. The programme’s results have been so successful for Bleckmann UK that the Senior Managers have now asked Jewel to work with them on a bespoke coaching programme for senior managers. We are so pleased to be part of a successful and growing logistics company that sees the value in developing staff so the company can thrive. If you would like to develop your team contact us to see what we can do for you.